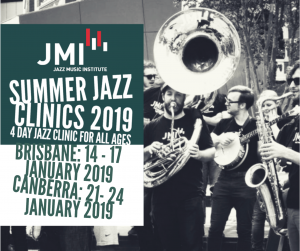 JMI will be running its famed Summer Jazz Clinics in Brisbane and Canberra (thanks to the support of ANU School of Music) in January 2019. 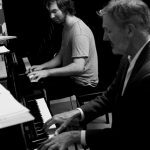 The JMI Summer Jazz Clinics are an intensive 4-day music clinic open to musicians of all ages and abilities. The clinics are delivered by JMI’s esteemed faculty in Brisbane and a mix of JMI and ANU’s fantastic staff in Canberra. 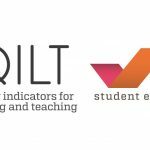 The clinics are a great way for school students to spend the last bit of their holidays where they’ll get tuition from some leading musicians and educators in Australia. Perfect for a student looking to take their musicianship to the next level or would like to get into tertiary music after school. JMI’s clinics are also ideal for adult learners who are looking to either start getting into jazz or want to build on the knowledge they have accumulated over the years. No matter your age or level of ability, the Summer Jazz Clinics are designed to ensure that you get more out of 4 days of learning than you ever imagined! JMI began running Summer Jazz Clinics back in the 1970s when owner Greg Quigley teamed up with American saxophonist and famed jazz educator Jamey Aebersold to bring a cohort of the finest musicians from the United States out to Australia to present workshops and gigs. 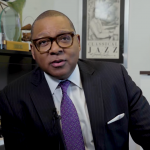 Over the period of a few years, Greg was responsible for bringing the greatest jazz performers from the United States to Australia. This includes jazz legends such as Joe Henderson, Freddie Hubbard, Woody Shaw, Dave Liebman, John Scofield, Mulgrew Miller, Randy Brecker and many, many more. These workshops changed the landscape of the Australian jazz scene and had a significant impact on many young Australian jazz musicians at the time, such as Sandy Evans, Craig Scott and Dale Barlow to name a few. 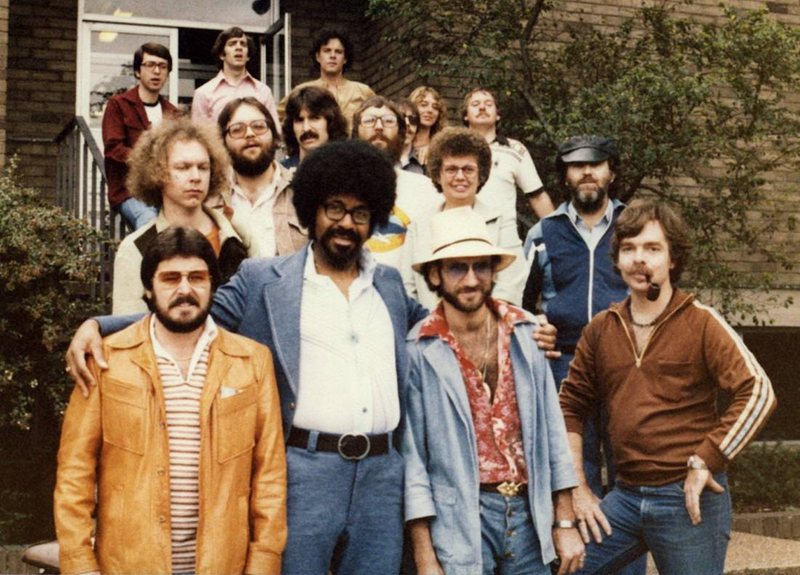 Summer Jazz Workshop in 1981 organised by JMI owner Greg Quigley. 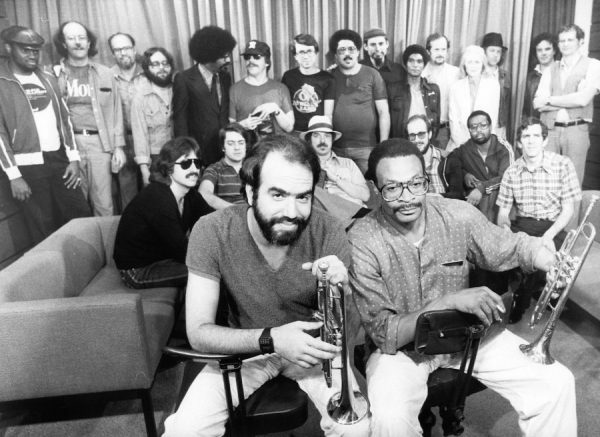 Randy Brecker and Woody Shaw in the foreground. We’re very proud to continue delivering these clinics to all ages and abilities. To find out more about the clinics and how to register, please go to our Jazz Clinics page.